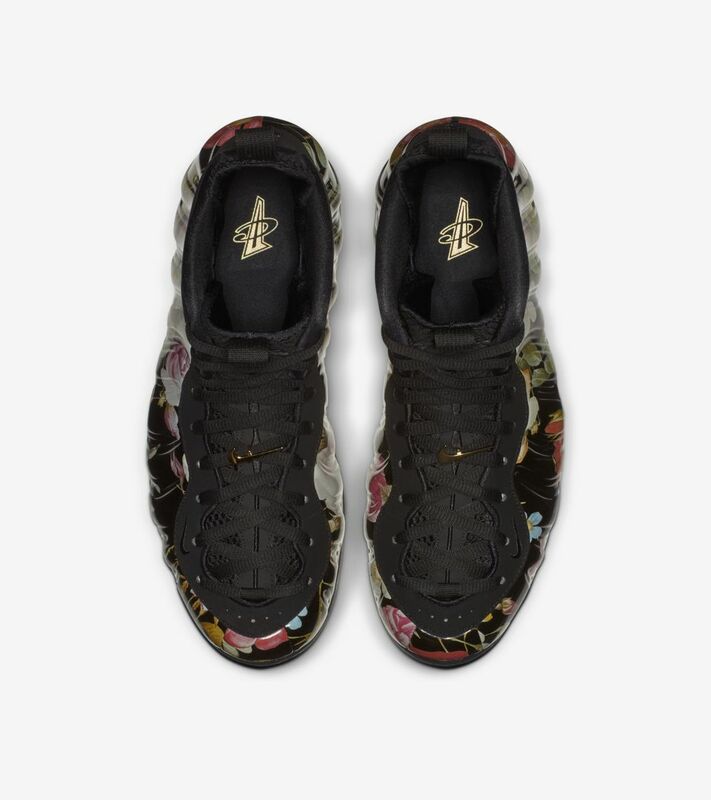 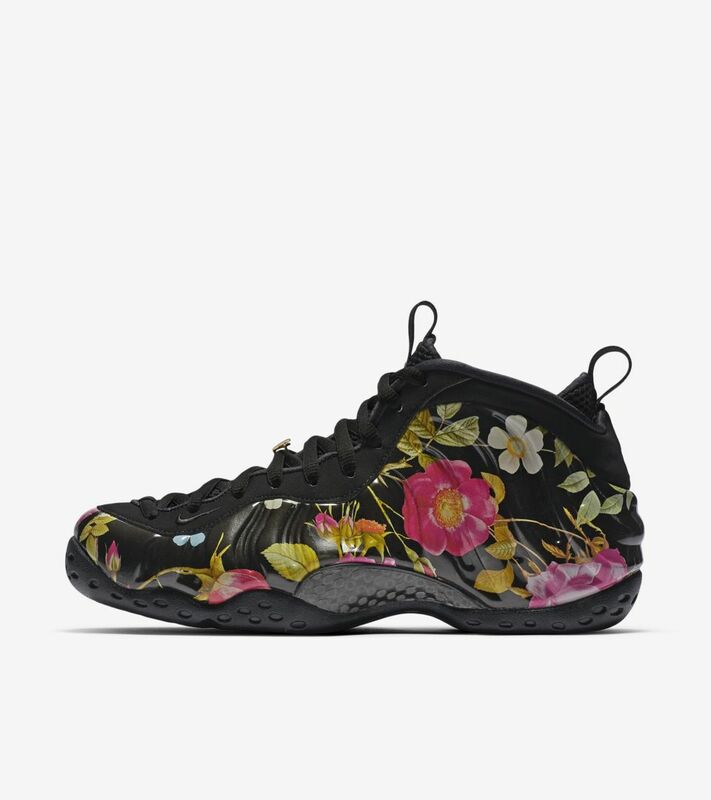 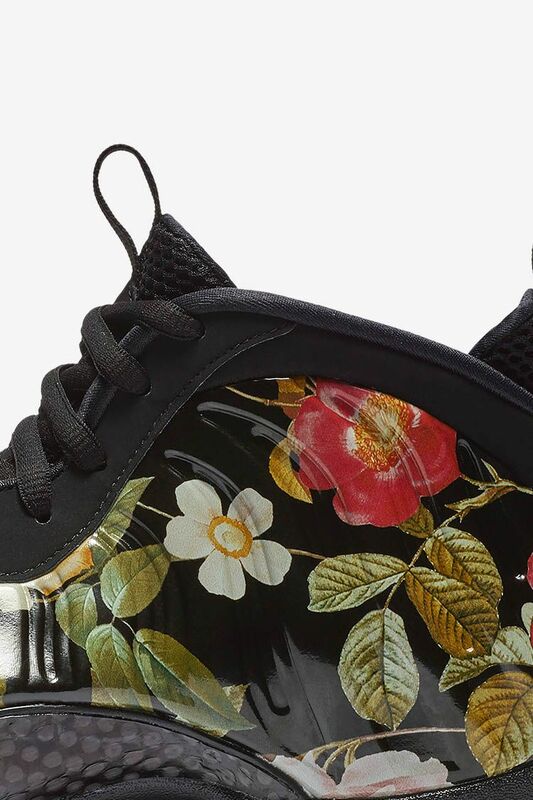 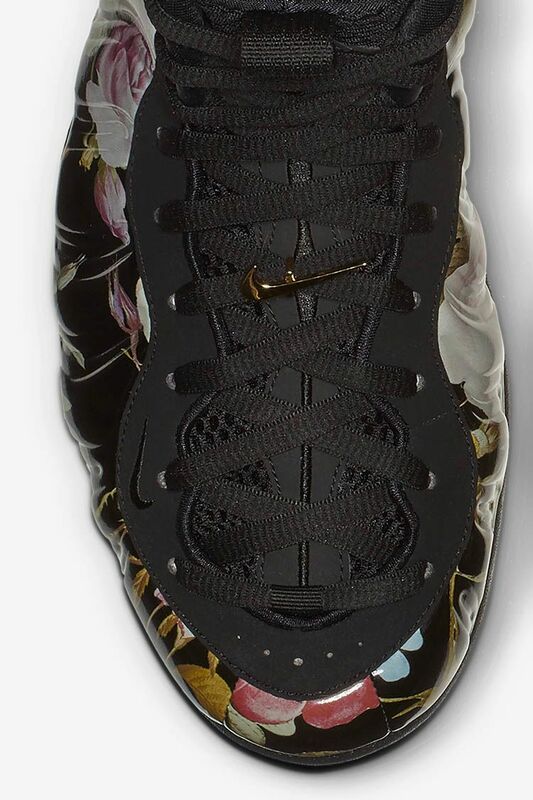 At a meeting between Nike designers, a molded sunglass case on the table became the focal point and inspiration for the Air Foamposite One. 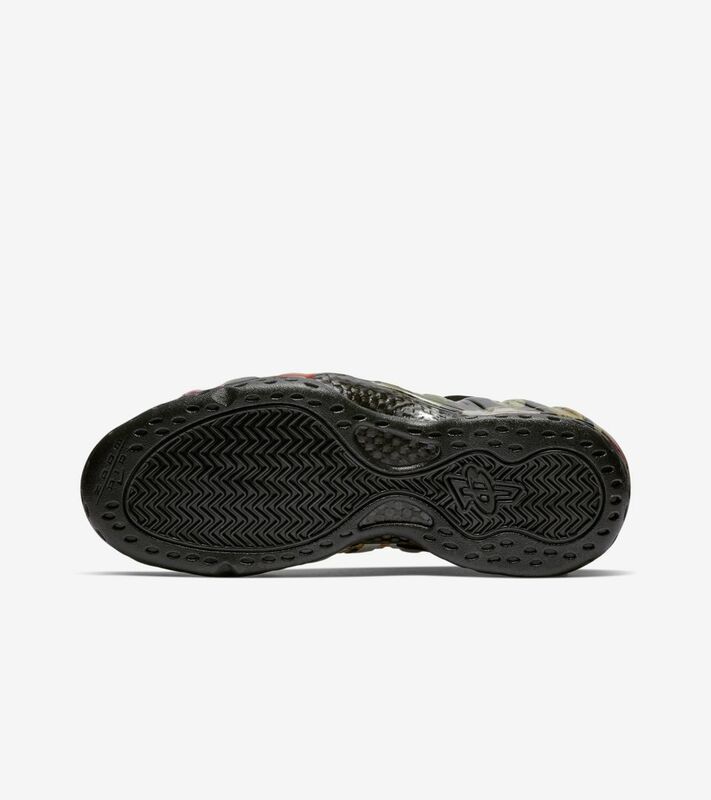 The three-year endeavor to develop and refine manufacturing techniques led to a seamless, high-performing shoe despite its unorthodox appearance. 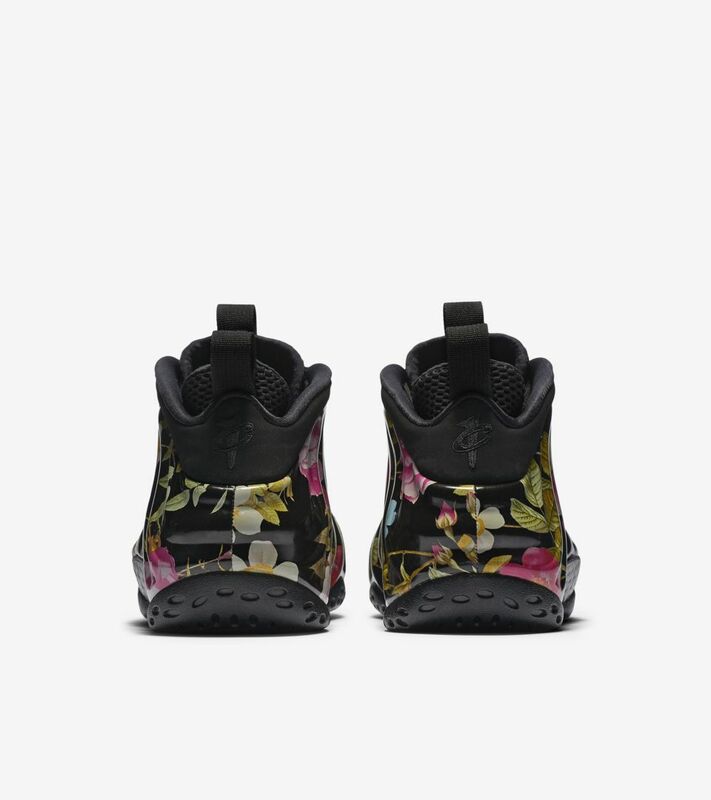 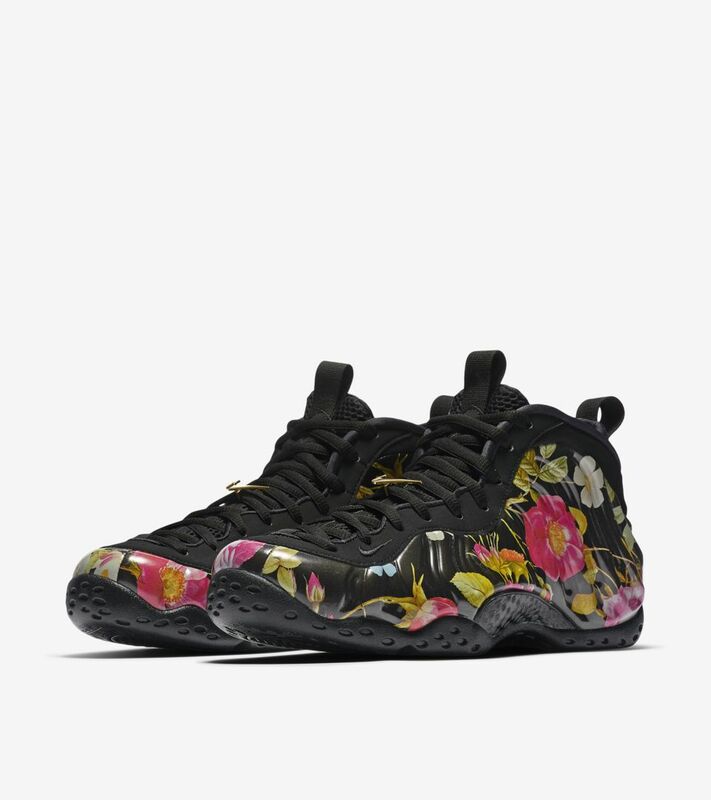 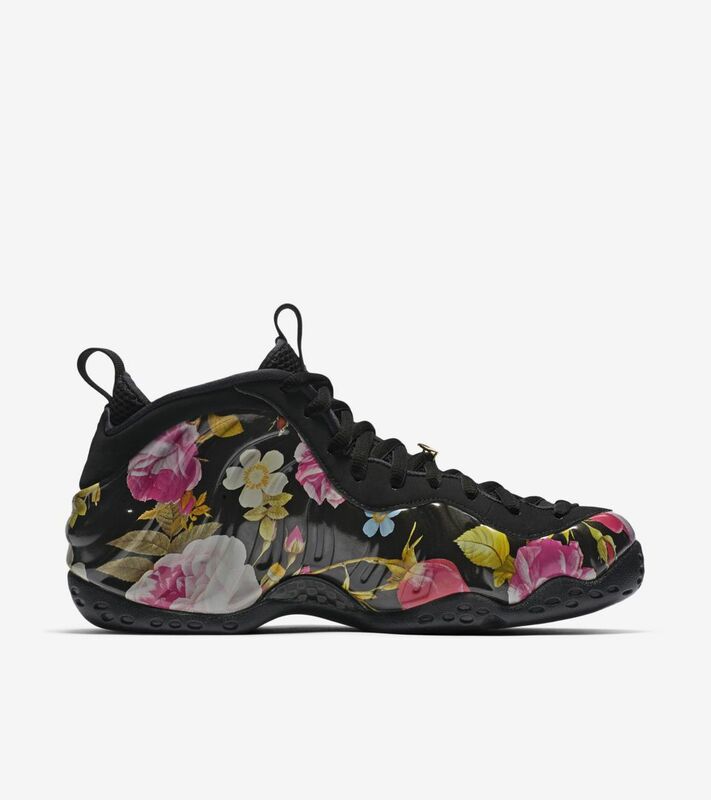 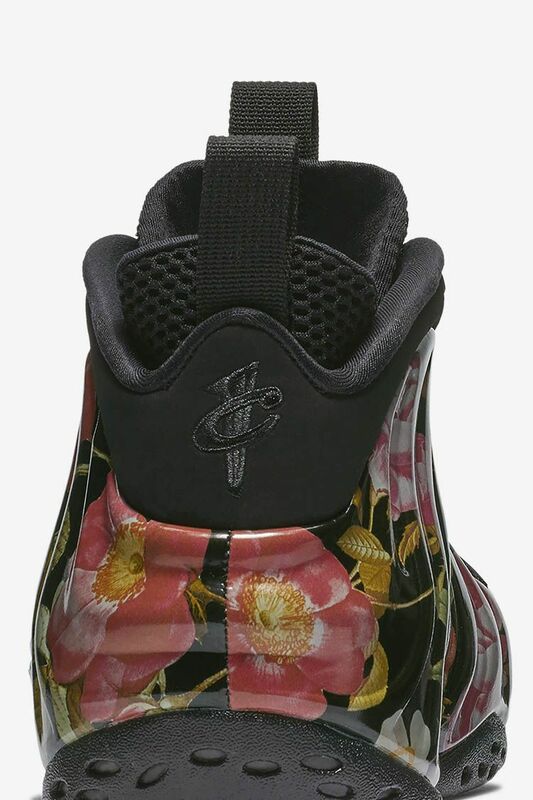 This retro rendition returns in true form, complete with a floral pattern on its synthetic upper.